Soon, scientists will be luring in California pigeons with insect larvae and corn to capture, then test the birds for lead exposure. UC Davis assistant professor Rebecca Calisi has long believed that pigeons, who walk the same streets, breathe the same air and often eat the same food as we do, were ideal indicators for lead poisoning. From 2010 to 2015, Calisi studied data on 825 pigeons in New York City and discovered that elevated lead levels in the birds corresponded with high lead levels for children living in the same areas. The findings are published this week in the journal Chemosphere. Lead is a concern because it can cause irreversible neurological damage to kids who are still developing and there is no safe blood level in children. At least four million U.S. households include children who are exposed to high levels of lead, according to the Centers for Disease Control and Prevention. And unless kids have government-backed health care, testing isn't required by law. "Lead is in our environment, it's dangerous, and not all places are testing for it in children," says Calisi. She explains that urban pigeons could predict a child's risk for lead poisoning, not just in New York, but in major cities nationwide. The study comes during a time of heightened concern about childhood exposure to lead following the water crisis in Flint, Michigan and a recent Reuters investigation showing a majority of Medicaid-eligible children weren't tested for lead exposure in 2014. Calisi conducted the research with undergraduate student Fayme Cai while Calisi was an assistant professor at Barnard College in New York. 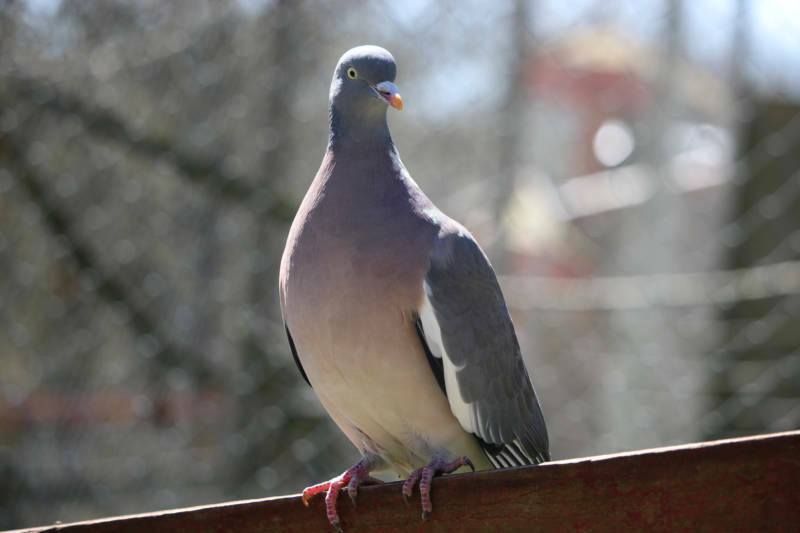 The two analyzed data from sick and injured pigeons treated at the non-profit Wild Bird Fund. The wildlife staff tested the birds for lead exposure and recorded the zip codes where the birds were collected. Calisi compared the pigeon data with thousands of childhood lead test results from the New York City Department of Health and Mental Hygiene. She found that neighborhoods where children had higher blood lead levels — 10 micrograms per deciliter or above — corresponded with the same neighborhoods where the pigeons were collected. Notably, the results varied by neighborhood. Birds in Soho and Greenwich Village had almost double the levels of lead as pigeons in the Bronx. Calisi says this could be because Manhattan is more heavily trafficked, and still has lead particulate on roadways from a bygone era of leaded gasoline. Additionally, some older houses are covered in lead paint, and lead dust can collect on roads, sidewalks and alleys. It can leach into the ground or contaminate nearby waterways. Pesticides, fire retardants and other chemicals are also worth tracking, says Calisi who will now study pollutants in San Francisco, Sacramento and agricultural communities. Her team will set traps with "goodies" like corn and grubs, take blood samples and then release the birds. Calisi said her team is still determining which pesticides and heavy metals are feasible to analyze.